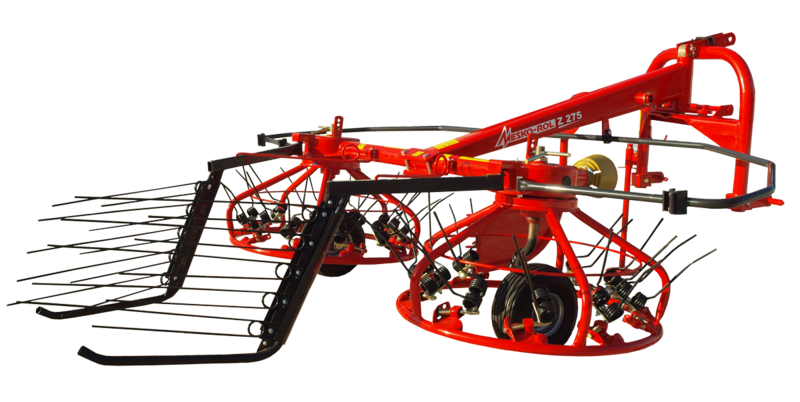 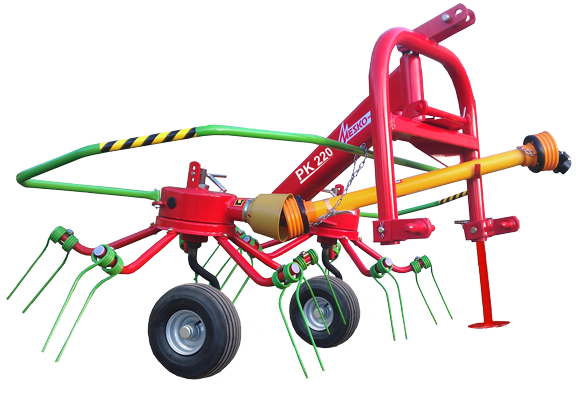 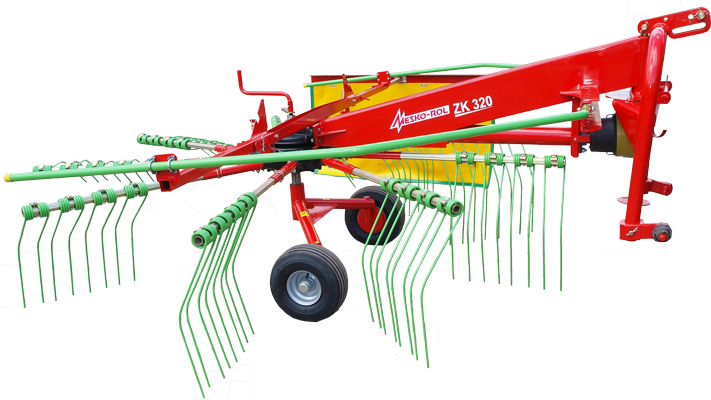 Rotary rake Z 548 is designed for raking hay and soilage scattered for drying into rows, for mechanical or manual collecting. 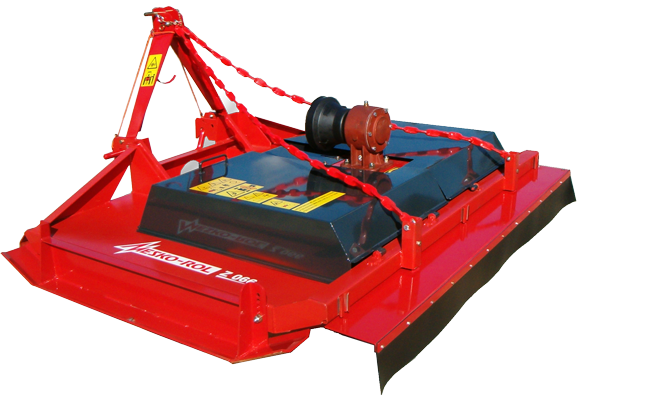 The shafts are situated along an apron made of resistant fabric. 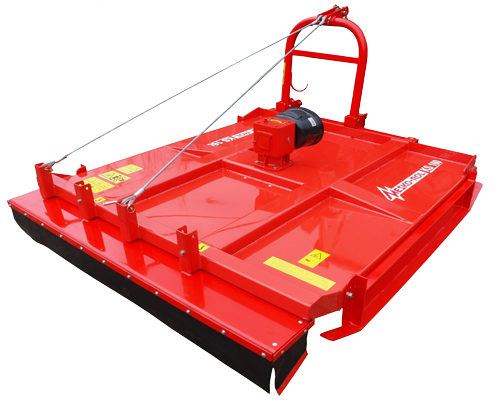 For public road driving, the protective bows are retracted and secured from falling. 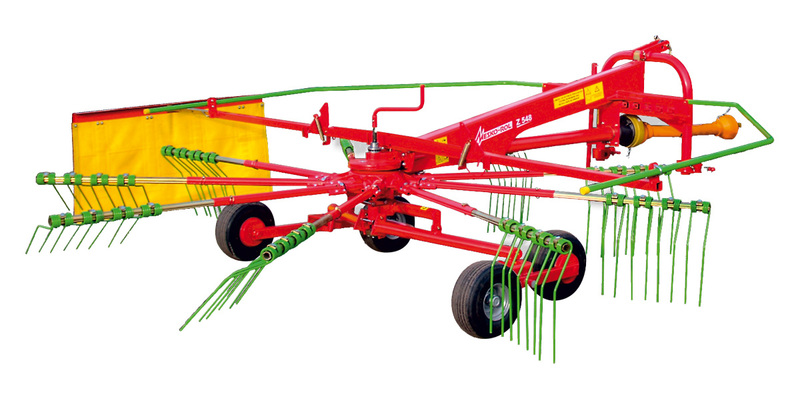 Rake arms are dismounted and placed in sockets in front of the machine. 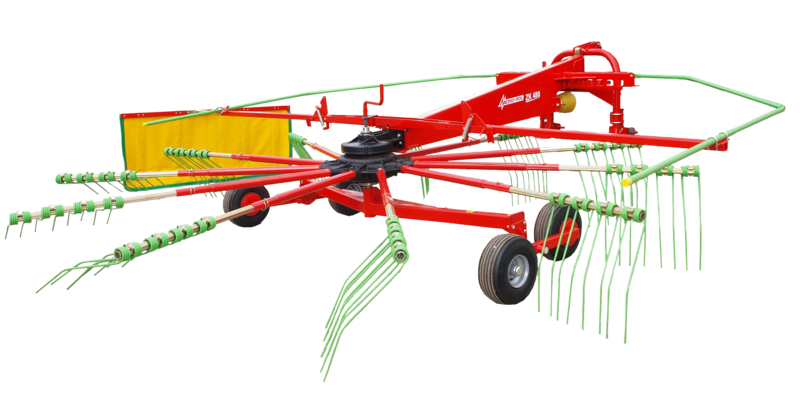 Thanks to equipping it with tandem-type suspension, Z 548 rake adheres better to any terrain unevenness, with its raking teeth maintaining uniform distance from the ground during operation. 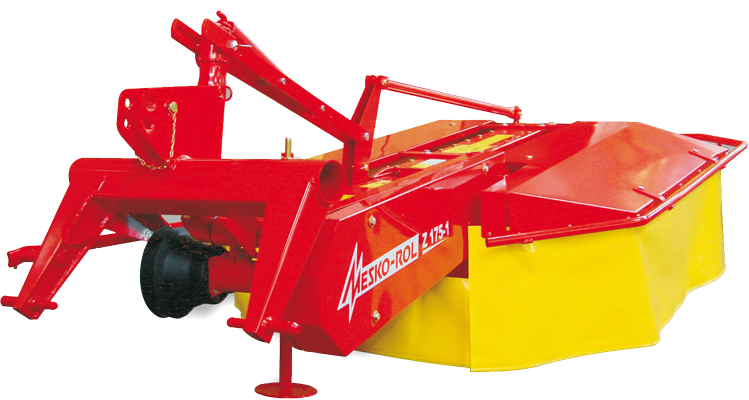 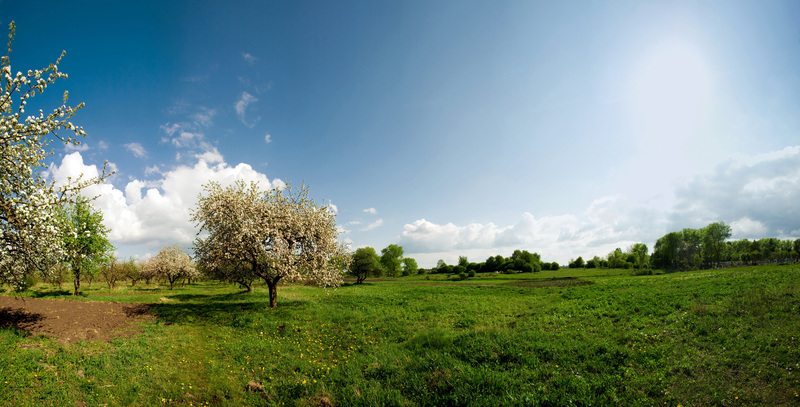 The machine is excellent for mountain and slope areas.